Crafty corner can cut any bottles for you or we can make the candle for you. This beautifully made candle is actually quite easy to make. We made this one for Valentine's Day, but you can do any design you like. A great way to use up all your little bits of leftover wax is to make a beautiful and quirky sliced candle. Follow the instructions and see how it is done. Drilled candles are fun to make and interesting to look at, this step-by-step takes you through the entire process. 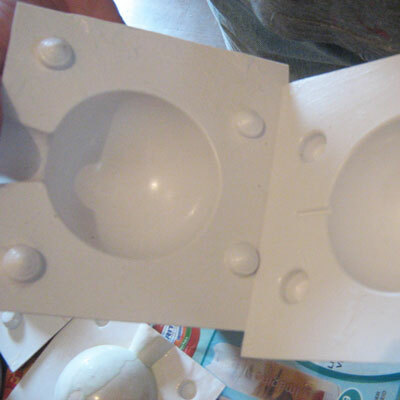 This simple to understand tutorial will have you making moulded candles in no time! Follow these simple steps and see how easy it is to make paint any design you like onto a candle. Candles are one of the oldest crafts out there and have been going ever since the days of the Romans. Beeswax and tallow were the main ingredients used for candle making until the 1850's. This is when it was discovered that paraffin wax could be obtained from petrol, coal or wood. Candles were traditionally made by repeatedly dipping the wick in melted tallow. 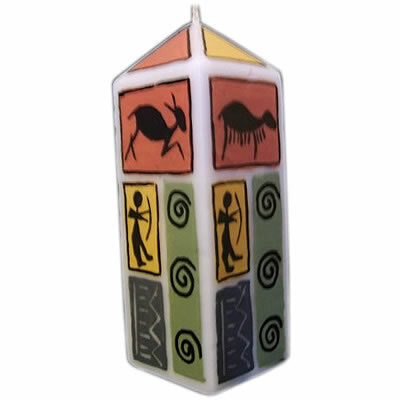 An introduction to the full spectrum of Candle Making from, Drilled, Mosaic, Painted & Sliced. 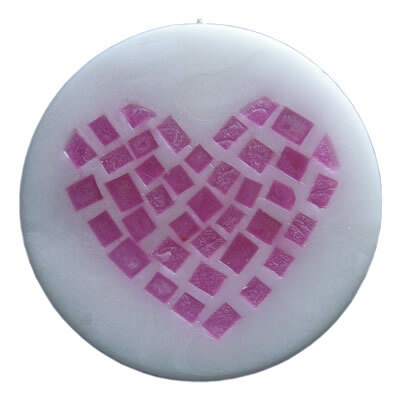 The workshop will enable you to complete a two piece Mould Candle. Essential candle making workshop: Sat 10th march 2018 / 9am to 2pm @ Upcycle Creative Studios in Fontainebleau Randburg.
. 1. We cover candle making equipment. 2. What are wicks, waxes and additives. 3. Explain about candle moulds. 4. How to add fragrances and colour to candles. 5. How to work safely, time savers and other handy things to know. Hand- dipped tapers, Speciality Candles, Special Effects. 7. Most importantly we take a look at troubleshooting. Palm candle wax is a great alternative to paraffin and gel wax. Palm candle wax is made from palm butter which is derived from the fruits of the palm tree. This makes it a green alternative to traditional candles as it is a non petroleum based product. Palm oil is sourced from local and international palm plantations. As long as the trees grow, fruit can be harvested to produce palm oil without harming the trees, making this a green product and a renewable resource. 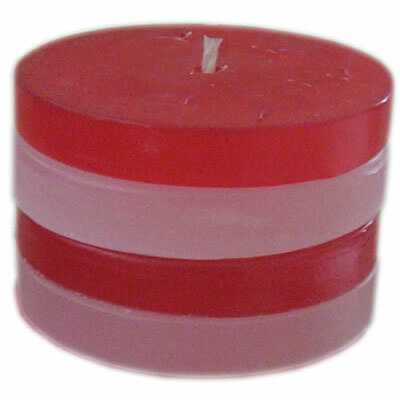 Crafty Corner's palm wax is manufactured within SA. Palm wax candles burn cleanly with no risk of breathing in harmful vapours or carcinogens. As conventional candle wax is manufactured as a by-product of the petroleum refining industry, when burned they release soot and harmful vapours into the atmosphere. Soya based wax is also a good alternative to traditional candle wax, however we have found that some people react to soya candles, and there are documented cases of many people with soya based allergies. A palm wax candle is almost completely non-allergenic, it is a totally natural product of cosmetic grade and will naturally biodegrade. Due to the low melting point of the wax, it is a lot more friendly and easier to work with than traditional paraffin wax, but this does mean that the palm wax has to be used in a container due to its softness. When in use it will form a pool of warm wax around the wick covering the total surface of the candle. 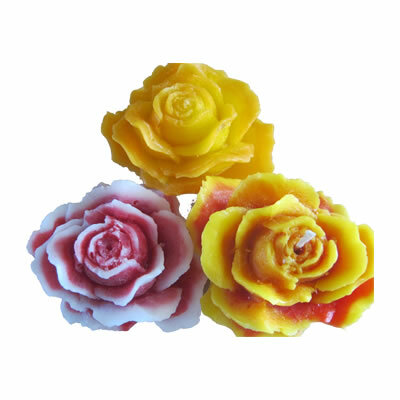 This warm wax can be used in massage or as moisturizing body butter. 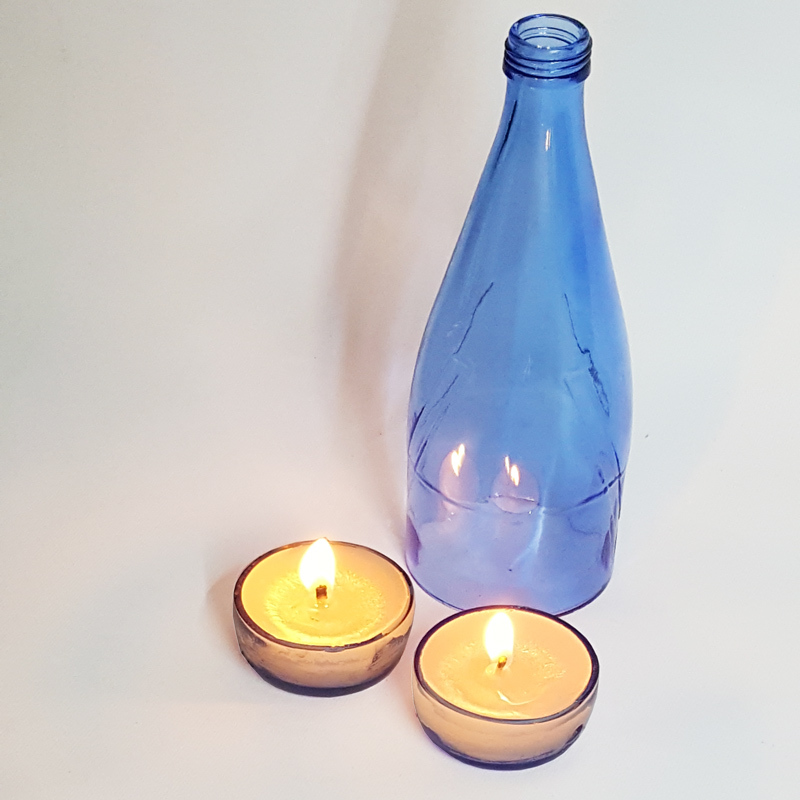 As in traditional paraffin candles you can scent palm wax, but a great advantage is that you can add up to 3% - 5% essential oils to the mixture. It is advised that when you use essential oils to make sure that that they are from a reputable source and that you test them first. It is also strongly advised that you ensure that you are aware of all the properties of the particular oil that you are using as these oils are known to enhance effect or react to people in different ways e.g. Neroli oil can cause some people to become agitated and aggressive if in high concentrations, the reverse of what is often advertised. Palm wax by itself has almost no noticeable fragrance when cold or even when in use. Though palm wax is slightly off white in colour, you can add dyes to colour it. We advise that this is not done as it will not only change the natural nature of the wax, but it can also add impurities into the wax and thus negate any of the natural goodness you are looking for. In addition, dyes could also stain your skin if you used it in massage. Please contact admin@craftycorner.co.za for more information. Candles are one of the oldest crafts out there and have been going ever since the days of the Romans. Beeswax and tallow were the main ingredients used for candle making until the 1850's. This is when it was discovered that paraffin wax could be obtained form petrol, coal or wood. You will have lots of equipment on hand that can be converted permanently to candle making equipment. How serious you are about candle making will affect the decisions you make about purchasing equipment. When you begin candle making, you can do so on a shoe-string budget. When you become hooked on candle making and can no longer stand all the improvising tools you can slowly grow your equipment. A good wax melter is usually seamless aluminum, with a flat bottom that allows the pot to sit right on the heat. The sturdy handle is very important!!! Try get one of those aluminum kettles for outdoor cooking. Double-boilers are better to use and safer. One old big pot with a smaller pot that fits into it can serve this purpose , you don’t need to use a proper double boiler. There are a large variety of moulds just lying around your house. Aluminum foil can be used to create free form crinkled candles. The water is used to speed up the cooling of the wax. A plastic basin big enough to accommodate the mould. Wax can be bought from Crafty Corner or some craft shops; it comes in either granular or block form. Wax is made from petroleum. Wax melts at different temperatures depending on the type of wax. Fully refined wax has a lot less oil content than semi refined wax. The congealing point is when the wax begins to go hard. If you take the temperatures of the wax at this point you know how hot the over dipping wax would need to be. Your wick is very important to how well your candle turns out. It is important to choose the correct size wick for the size of the mould and the type of wax you working with. You can also buy these wicks pre-waxed. (it is very important to pre-wax your wick or your candle will not burn properly. Dyes are used for altering the color of your candle and come either in a powder form or solid. The density of the color depends of the amount of color added. Test the color by pouring a bit of the wax onto a white surface. The finished candle will be slightly darker. These are special oils that can only be used for candles. Aromatherapy oils and other types of oils can not be use as they have water in and will spoil your candle! Break wax into chunks and place into a pot, one with a spout makes pouring easier. Being a relatively dangerous craft it would strongly recommend that you read up a bit about the dangers and precautions before you get started. Do not continue heating after melted unless you have a thermometer and know the wax that you working with well. Rather use an electric hot plate and not an open gas flame. If the wax has got water in it, rather throw it out. Using wax that has got water that has settled at the bottom can cause a steam explosion as the water heats quicker then the wax. In the event that the wax catches fire DON'T use water. Cover the pot with a lid, damp cloth or use a fire extinguisher.